This is the fourth and final part of a long-form article on the University’s decision to end student management at the Suites Eating Clubs. Click here to view parts one, two, and three. When I asked her about ResEd’s heightened oversight of GCDS since administrators first intervened in 2009, Dean Golder insisted that ResEd’s involvement has been productive and beneficial. But according to everyone who isn’t a ResEd administrator, increased ResEd interference has been actively detrimental to the effective student management of Suites Dining. Not a single manager I interviewed could think of even one way in which increased ResEd oversight had made their job easier. The number of ways managers say it has made their jobs harder, however, is remarkable. According to several different managers, all of whom wished to remain anonymous, ResEd meddling has made club management dramatically less efficient, more expensive and less effective. One of the most frustrating changes for managers has been ResEd’s enforced separation of club expenditures into food – which student managers are allowed to purchase themselves using the GCDS account – and capital items like cups, plates and club improvements, which must be either approved and paid for by ResEd (using GCDS money) or purchased using personal student funds and submitted for reimbursement. According to one student manager, the most significant problem with ResEd’s new policy – before which student managers were free to allocate funds as they saw fit – has been the delayed payment of vendors who provide both food and capital items. Student managers will pay for the food portion of the invoice immediately, but ResEd will take several weeks to pay for the capital items, leaving vendors complaining that they’ve been underpaid. Reimbursement – the other ResEd-enforced way for student managers to purchase capital items – has proven even more inconvenient, mostly because ResEd appears to consistently run weeks behind schedule. One manager purchased a new stereo for his club in early December using personal funds and still hasn’t received a ResEd reimbursement check. In September, ResEd administrators forgot to pay Bollard’s water bill, and Frank had to pay the cost out of pocket. He finally got a reimbursement check for $248.73 – on Jan. 24. In Middle Earth, student managers keep a running list of things R&DE – to whom, according to the board bill, Suites residents pay total annual maintenance fees of over $380,000 – has promised to fix but hasn’t. There are currently 12 items on that list, ranging from the salad bar to the stove tap to the mop rack. Last year, R&DE installed a shiny new dishwasher in Middle Earth. Unlike the other three clubs’ dishwashers, which despite being old and timeworn work perfectly fine, the R&DE-installed Middle Earth dishwasher immediately broke, and Housing still hasn’t successfully fixed it. The symbolism is astonishing. In Fall 2010, ResEd decided to assume control of paying student hashers – traditionally a responsibility of individual club managers, who would write hashers checks directly from their eating club account. Before the takeover, I remember a student manager depositing my hashing check every two weeks, like clockwork, in the furthest left-hand drawer in the Avanti kitchen, beneath the cupboard. When ResEd took over, they failed to pay student hashers for the next two months. Administrators only resumed payment after students pointed out that not paying your workers is a violation of California labor law. “It’s amazing how incompetent the so-called ‘professionals’ can be,” grumbled a particularly displeased Suites manager. ResEd has also restricted the number of hashers who can be on GCDS’s payroll, drastically limiting the flexibility of students’ work schedules. Two club managers complained that finding replacement hashers when their current one has a midterm or an athletic event has become much more difficult since the pool of available hashers is now much smaller. Even ResEd’s own student employees express frustration with the apparent incompetence and questionable work ethic of their superiors. One current Suites Resident Assistant (RA) complained that ResEd Student Affairs Officer Tiffany Taylor, who is supposed to make regular supervisory visits to Suites, has been conspicuously absent all year. If there is any mismanagement and incompetence going on at Suites, it’s not on the part of students. It’s by ResEd and R&DE. It is only when I began investigating its chronic underperformance that ResEd finally began to grind, slowly, into gear. Two days after I sent an email to Boswell, Buzay and Golder requesting an interview about Suites, all four club managers suddenly got an unprecedentedly friendly, but characteristically vague, email from ResEd administrator Jo Jaffe ‘09. “It was definitely related to the takeover,” said one club manager. And only in the last month has Keith Santiago, head of Governor’s Corner Housing, finally become more responsive to student requests for help. “We are skeptical as to his motives,” said another student manager. Frank keeps his letters in a Macy’s sale bag in the back of his old blue Lincoln. There are 66 of them. Most are thank-you cards: cards from students, cards from employers, Christmas cards from generations of Suites managers, cards in neatly written Spanish I wish I could understand. Some are invitations to long-ago Stanford graduations from former students who’ve left Frank’s beloved kitchen and moved on. When Frank puts the tattered old Macy’s bag in my hands, he does so with a care I’ve never seen before. He tells me that if I open a card, I must make sure to put it back in the exact same envelope, undamaged and in order. “Be very careful, Miles,” he says. These letters really are the most important things to him. And so I take great care as I look slowly through the letters, kept as pristine as you could possibly keep 66 letters in an old Macy’s bag. Certain phrases stand out from the flow of thanks from Frank’s former students. Frank never lets his letters go. Next year, this University won’t be able to say the same about Frank. As I speak with Suites resident after Suites resident, I can’t help but think that ResEd has forgotten that central mission. Almost unanimously, the residents I talk to are shocked and appalled to discover that their four chefs’ contracts are not being renewed – a decision about which students were not consulted – and that students will no longer lead Suites’ dining clubs next year. “It makes me really mad,” says one current resident, with simple honesty. For others, the loss of a student job at Suites threatens to produce financial hardship. I’m reminded that 95.97 percent of Suites residents opposed a change about which they were never consulted and only recently informed. When I reach out to Suites alumni, the reaction is, if anything, even more pained. They’re dismayed to learn that the place they loved has changed so much. “I always thought it was the greatest food on the planet,” a 2005-07 resident remembers wistfully. “The quality of the food, and the cheapness of it, was better than anything the University was able to offer,” a student who lived and worked in Suites from 2006-08, before ResEd began its expensive and debilitating takeover, recalls. When I ask Golder whether she considers it important to bring Caroline, Dennis, Frank and Tony back next year, she says, “If it works out, I think that’s great.” She suggests that if students wanted to help, we should write a letter of recommendation for the chefs to the new corporate contractor. Between Boswell, Buzay and Golder, no one offers to do anything at all to help the chefs keep their jobs. “I can’t tell a vendor who they have to hire,” Golder says. That’s not the spirit of the Stanford I know. The Stanford I know doesn’t corporatize student life at the expense of longstanding community members; it encourages and fosters student leadership, student initiative and student independence. The Stanford I know is about standing up for the little guy, being accountable and doing the best we can for every member of our community. As I reflect on the end of an era, I’m deeply disturbed by something I remember from the beginning of my interview in that ResEd boardroom. “My general directive from the president, provost and [Vice-Provost for Student Affairs] Greg Boardman when I was brought in four years ago was: ‘Clean up,’” Golder declared. 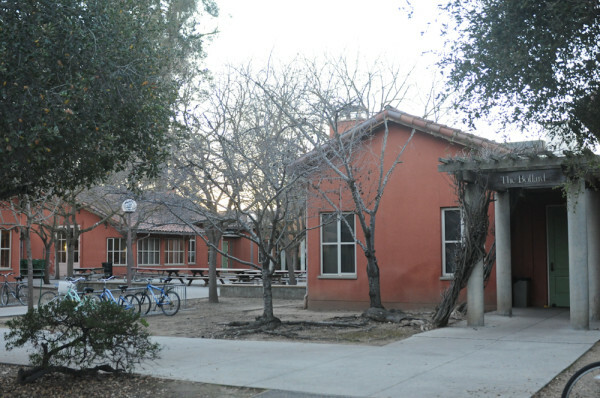 If firing four loyal community members beloved by their students; outsourcing student jobs and responsibility to a for-profit corporation with a suspicious workers’ rights record and dubious ties to the Stanford office responsible for its current contract; and refusing to solicit any student opinion before making crucial decisions about student welfare is what “doing the best we can by students” looks like – and if there truly are hundreds of places left on ResEd’s ominous list – then the end of Suites Dining might be merely the beginning of a new and darker era in our collective campus life. If ResEd gets its way at Suites, it will be a victory for bureaucracy, for incompetence and probably for the coffers of SOS, with its hundreds of thousands of dollars in administrative fees. But it will be a tremendous loss for everyone else: for students, for four veteran chefs who will be forced out of the community they love and for this great university we all call home. It can be hard to stand up for ourselves. We’re all students; we hold down jobs; we’re athletes and scientists and writers with tremendous time commitments on our hands. ResEd and SOS move quietly, inexorably and patiently towards a shared goal that is ultimately detrimental and destructive to the Stanford community. We cannot – we must not – let them go unchallenged. It’s time to take a stand. Miles Unterreiner ’12 M.A. ’13 was a two-year Suites resident and is currently employed as a hasher in Suites’ dining clubs.